Creamy, clay-based mask, all skin types, except very sensitive. 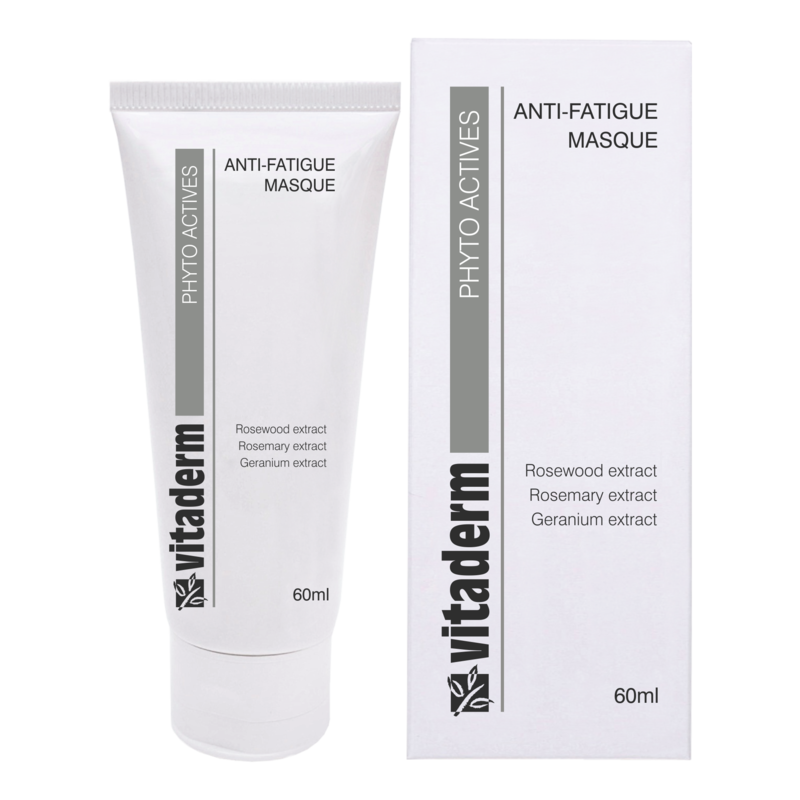 The Anti-Fatigue Masque is a creamy, clay-based mask that is ideal for use by all skin types, except very sensitive. It contains Black Silt, which is similar to Dead Sea Mud, but obtained from fresh water lakes. It helps stimulate micro-circulation and liven the complexion. The addition of rose geranium and rosewood extracts further enhance the effectiveness of this product. Its creamy consistency remains moist on the skin, facilitating easy removal. Apply to the face after using the Skin Polishing Cream or Enzymatic Exfoliator. Avoid the eye area. Allow the mask to remain on the skin for 10-20 minutes. Remove with a damp cloth, or rinse off. Follow immediately with a treatment cream or complex.